what do they mean ? LRESULT as last result ? W-PARAM ? L-PARAM ? WPARAM and LPARAM contain structs sometimes. So I need to use them as IntPtr. How about LRESULT ? Am I safe with int or better IntPtr ? What type do I use for LRESULT in C# ? int or IntPtr ? 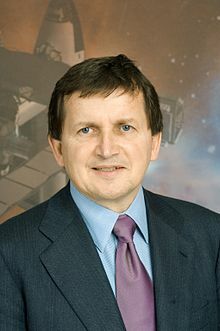 That's Charles Simonyi, the former head of the Application Software group at Microsoft, the group that developed Word and Excel. He's the one that set identifier naming standards. Since nobody knows how to pronounce his last name, they picked the country he was born in and called it Hungarian notation. The Windows group adopted it as well, but picked the "bad" kind, System Hungarian. Where the first letter(s) of the identifier is chosen to note the type of the variable. As opposed to the "good" kind, Apps Hungarian, which selects the prefix by the logical type name instead of the physical type name. Simonyi's version. So it is L as in Long, W as in Word. LPCWSTR is a dozy like that, Long Pointer to Constant Wide String. A clear problem with System Hungarian is that it doesn't work so well anymore when the architecture changes. Originally picked for 16-bit operating systems (L=32-bits, W=16-bits), migrated to 32-bit without changing the name (W=32-bits), we're at 64-bit today (L=W=64-bits). So ignore these prefixes, they're just an historical accident. You really must pick IntPtr for the LRESULT type, it certainly can be a 64-bit value on the 64-bit version of Windows. Very hard to diagnose problems occur when you don't, a common question here. You can see basically the types eventually pointing to the same size bits: the only real difference is if you are using windows 32 or 64. In term of usage meaning, they are general pourpose parameters you can use depending on what the window procedure needs to do. Typically, since a couple of number is not enought, poiter to complex data structures are used and their values passed as WPARAM or LPARAM, so you cannot assign any particular meaning unless you focalize a context. See What are the definitions for LPARAM and WPARAM? The remainder of the type names / aliases is supposed to hint at their meaning, i.e. LRESULT containing some kind of result value, LPARAM and WPARAM being used for parameter variables. The actual meaning of the wParam and lParam parameters' content depends on the particular message being sent; they are just generic buckets for message parameters. So it's quite likely that you won't be able to circumvent unsafe type casts. Not the answer you're looking for? Browse other questions tagged c# winapi pointers intptr or ask your own question. New naming conventions in vb.net?